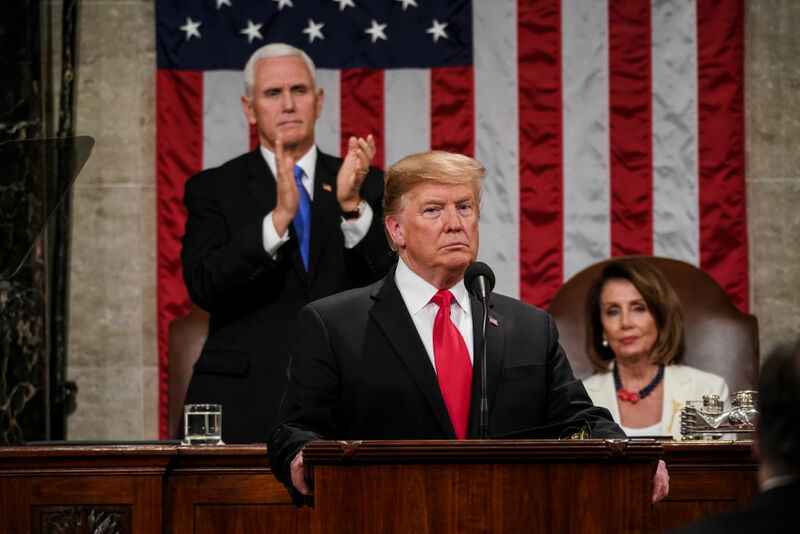 Multiple abortion rights advocates slammed President Donald Trump's State of the Union address on Tuesday after he called for a federal ban on "the late-term abortion of children who can feel pain in the mother’s womb." The president called for the ban in the wake of a new law in New York expanding abortion rights. The New York legislation, called the Reproductive Health Act, expanded abortion rights to allow a woman to get an abortion after 24 weeks if her health is threatened and the fetus has no chance of surviving outside the womb. Advocates of the law said that the legislation was necessary for the protection of pregnant women who do not have many options in face of health risks. The law has also been framed as a safeguard against a newly-conservative Supreme Court that could overturn Roe v. Wade, the landmark 1973 ruling that effectively legalized abortion across the nation. However, the same law has been slammed by anti-abortion advocates who deem it as an "extreme" expansion of abortion access which gives too much discretion to medical professionals. However, his arguments were discredited by many experts, who said that the argument stating that abortions will take place “moments from birth” are inaccurate. An obstetrician-gynecologist and a board member from Physicians for Reproductive Health, Dr. Kristyn Brandi, said: "They’re using these theoretical extreme examples to try to scare people," according to TIME. According to the Guttmacher Institute, a research and policy organization that advocates for reproductive rights, a majority of abortions take place during the first trimester of pregnancy. While at least nine percent of abortions take place after the first trimester, and just 1% take place at 21 weeks or later.